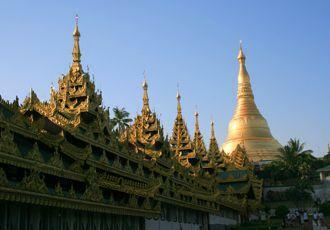 Burma’s premier attraction in Yangon (Rangoon) is covered, not only in gold, but also in thousands of diamonds and rubies; the very top is actually tipped with a 76 carat diamond! If counting the jewels proves too much of a challenge, just enjoy the mesmerising sight of this glittering temple, particularly during the ‘magic hour’ as the sun sets. Connecting Mandalay and Bagan, a day cruising along the Irrawaddy River is the perfect way to travel between Burma’s key sights. The scenery along the Irrawaddy is timeless – oxen working the fields, water buffalo wallowing in the mud, golden pagoda spires, fishermen, villagers bathing in the river and, of course, every type of boat and river craft imaginable. The former British Hill Stations of Pyin Oo Lwin and Kalaw offer a cooling retreat from the heat of the city and they are also renown for their colonial era buildings. The surrounding hills provide excellent walking opportunities with paths winding through welcoming villages where a traditional rural way of life is still very much in evidence. 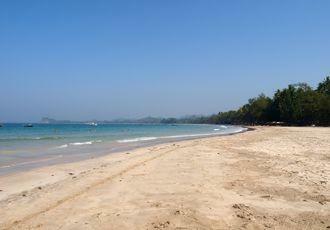 Idyllic Ngapali Beach, with its pristine white sand and sparkling turquoise water, is the best beach in the country and a perfect place to relax for a few days on your holiday in Burma. Still retaining its original fishing roots, the daily catch is served every evening at the superb resorts spread along the fringes of the beach. Take to the skies as the sun rises and enjoy spectacular views of the ancient Kingdom of Bagan from a hot air balloon. This unforgettable flight is available between October and March and a souvenir CD of images plus a glass of sparkling wine are included. 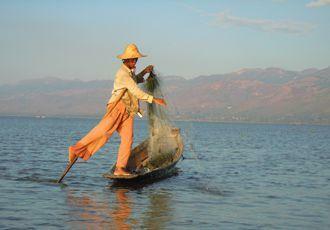 Inle Lake is a simply magical place. Its calm waters are dotted with Intha stilt house villages, floating vegetable gardens and fishing canoes against the back drop of the beautiful Shan hills – which offer some delightful walks. Motorized boats are the means of transport across the lake although the Intha people get around in traditional flat bottomed boats using a unique and skilful form of leg rowing. 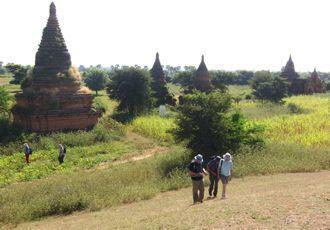 Bagan can be viewed in a number of ways but the one that gives the most intimate perspective is on a walking tour. Only then can you truly appreciate the variety of size, shape and design and marvel at the exquisite interiors adorned with beautiful paintings and murals. Mandalay’s Jade Market is a working market, far removed from the jewellery counters in Bogyoke (Scott) Market in Yangon and upscale hotel souvenir shops. Here sellers and buyers gather, some trading just small stones, but some selling huge uncut stones. Nearby, assistants work away polishing and cutting, not just jade but sapphires and zircons too. It’s a great place to pick up a beautiful bargain. 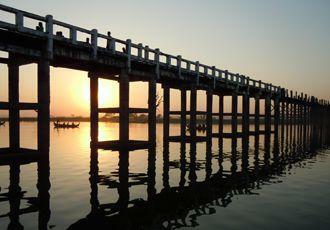 Built in 1851 across the shallow waters of Taungthaman Lake, U Bein’s bridge stretches some 1.2km making it the world’s longest teak bridge. Take a short walk out across the bridge and you may meet locals fishing and monks carrying alms between the monasteries on either side of the bridge. 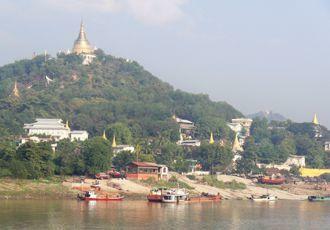 The bridge is situated only 10 miles outside of Mandalay and is one of Burma’s most photographed sights.